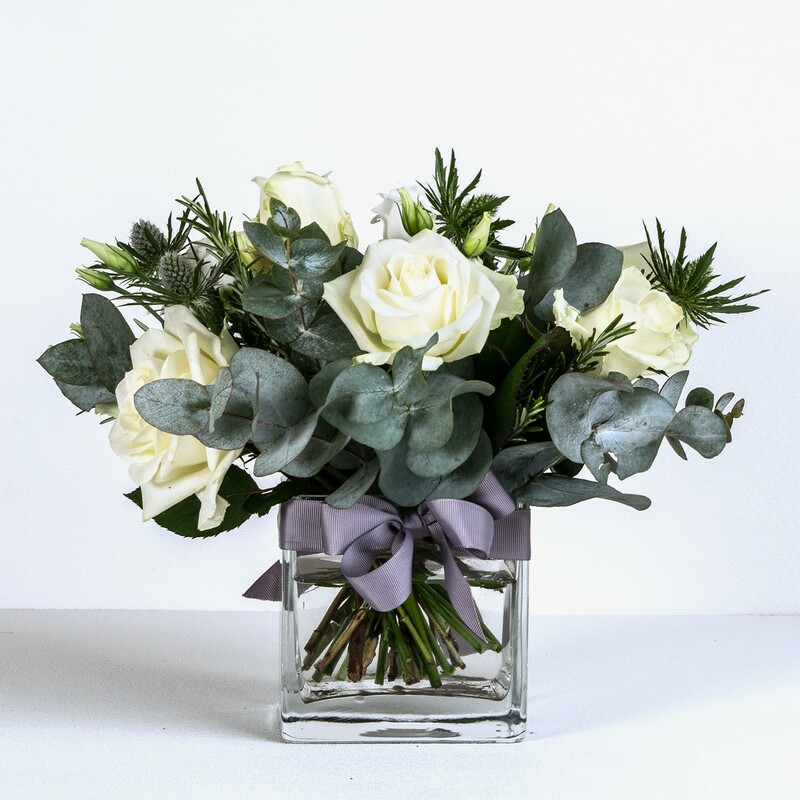 For a classic and elegant centrepiece, look no further than this stunning combination of Avalanche roses and pretty white lisianthus, brought together in a contemporary cube glass vase. The contrast of timeless cream roses with silver eucalyptus leaves looks especially chic when combined with the texture of eryngiums, and the sprays of rosemary adds a subtle scent that will attract both attention and admiration. Featuring Avalanche roses, lisianthus, eryngiums, rosemary and eucalyptus leaves, this hand-tied bouquet is rich with texture, colour, and fragrance, and will make a beautiful gift or fabulous addition to any table display.